The paintings and etchings of Robert Fry (b.1980) navigate a complex visual language that bridges the figurative and the abstract in a way that is evocative of body and mind, matter and spirit, life and death. The artist's first monograph, features texts by Mamuka Bliadze, Anthony Fry and Jane Neal, and is accompanied by around sixty illustrations. • The paintings and etchings of Robert Fry confront viewers with an engaging exploration of the human form that asks profound questions about people's physical presence in the universe. 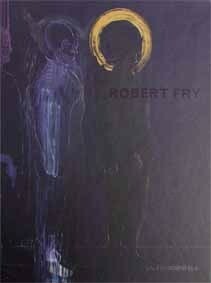 The paintings and etchings of Robert Fry (b. 1980, London) confront viewers with an engaging exploration of the human form that asks profound questions about people’s physical presence in the universe and the psychological, emotional and spiritual engagement we have with the world through our bodies. With a deep sense of civilisations past, from the prehistoric to the ancient Egyptian, Medieval and Renaissance to the Enlightenment and beyond, Fry navigates a complex visual language that bridges the figurative and the abstract in a way that is evocative of body and mind, matter and spirit, life and death. Fry’s search for universal truths leads into dark territory, into our subconscious minds and neuroses, our deepest fears, anxieties and insecurities. Both sacred and profane, Fry’s work masterfully employs colour, mark, line, shape and form to bring us face to face with our inner and outer selves, with our humanity and, ultimately, with our own mortality. This beautifully produced publication features around sixty selected works by the artist over the course of more than fifteen years, from very early works to 2013. Following an introduction to the artist’s work by Mamuka Bliadze is an essay by the artist’s father, distinguished Consultant Psychiatrist Anthony Fry, which investigates the themes of masculinity and maleness in his son’s paintings, and in particular a series of works that refers to the Fry family, including a portrait of both Anthony and Robert Fry that seeks to unravel the complexities of the father-son relationship. A wider consideration of Fry’s practice is pursued in an essay by critic and curator Jane Neal that addresses topics ranging from Saussurean signification to automatic writing, pagan fertility symbols to archetypal human forms, twentieth-century British painting to body builders. London-based Fry has had solo exhibitions in London, Berlin and Los Angeles, and featured in numerous group exhibitions including ‘Newspeak – British Art Now’ at The State Hermitage, St. Petersburg, and ‘The Curator’s Egg’ at Anthony Reynolds Gallery, London. This, the first monograph on the work of Robert Fry, is co-published by Galerie Kornfeld, Berlin, and Anomie Publishing, UK.